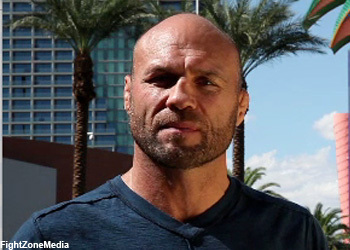 Although Randy Couture has walked away from mixed martial arts a couple of times in the past, the UFC Hall of Famer reiterated on Tuesday’s conference call that “UFC 129: St-Pierre vs. Shields” will indeed mark his final act. “It’s been an ongoing transition for me,” Couture said of the decision to finally call it quits. “I kind of want to go out on my own terms and decide when enough is enough. I think that time has come. Couture launched his illustrious career at UFC 13 back in May of 1997. He owns an underrated 19-10 record, with 15 of his fights coming in championship affairs. Although the end is near for “The Natural,” Couture took no shortcuts in preparing for former light heavyweight champ Lyoto Machida. UFC 129 takes place April 30th inside the Rogers Centre in Toronto, Canada.